In view of mail delivery schedule and mail interruptions during this busy holiday season, the Dakshini Election Commission, for the formation of next Dakshini Executive Committee for the term 2019-2021, is hereby extending the nomination deadline to December 19, 2018. 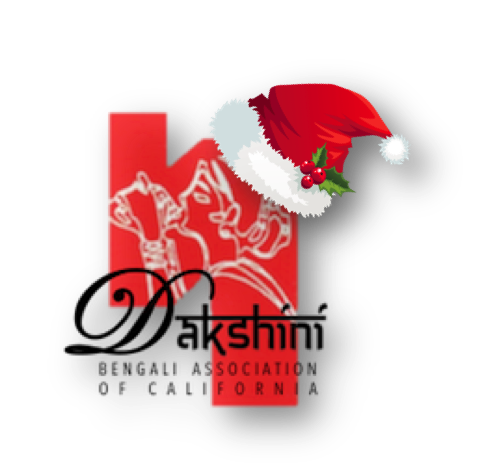 Please mail the nomination form, available by clicking here, to: Dakshini Bengali Association of CA, P.O. Box 14385 Torrance, CA 90503. We strongly recommend not to use registered post for mailing to this PO Box. Our annual Gala Holiday Party is just around the corner on Saturday December 15th at Tara's Himalayan Cuisine (17221 Pioneer Blvd. Artesia, CA 90701) from 6:30pm onwards. RSVP: For this event, we can only accommodate up to the restaurant's certain capacity (including kids) thus RSVP IS MANDATORY FOR SEAT RESERVATION. This event is free for annual members and gold/platinum sponsors. The suggested donation otherwise is $10/kid and $20/adult.